Dana Daniels has been entertaining and motivating at Corporate events around the country with great success for companies such as McDonald’s, Lincoln Financial and Frito-Lay. Teamed with his Psychic Parrot Luigi, (yes, a Psychic Parrot) Dana sets out to prove his little green friend is truly clairvoyant by performing incredible magic blended with rapid-fire clean comedy and audience participation. 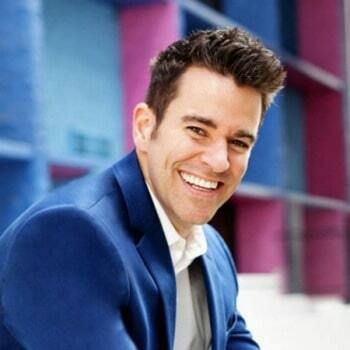 Dana is a multiple award winner with top honors in magic such as “Comedy Magician of the Year” and “Stage Magician of the Year” by the Academy of Magical Arts in Hollywood, CA. 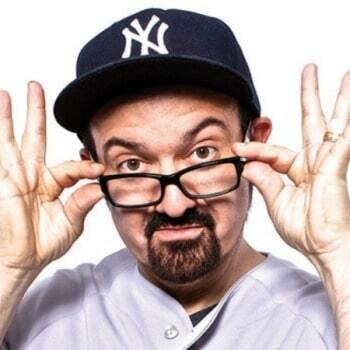 Dana’s many television appearances include, Stand up Live, Evening at the Improv, CBS Morning Show, Masters of Illusions, Lance Burton’s Guerrilla Magic and the best selling clean comedy series on DVD, Thou Shalt Laugh 4. Dana has also opened for such stars as Amy Grant, Vince Gill, Ray Romano, Tony Orlando and Charro. It’s Dana Daniels unique twist on magic that separates him from other magicians, and separates Luigi from other poultry. 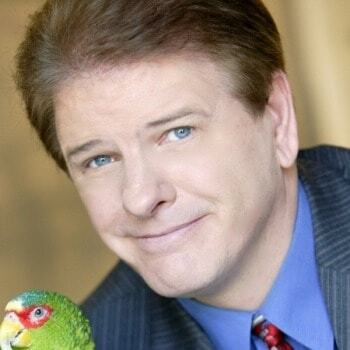 Dana Daniels, teamed with his Psychic Parrot Luigi (yes, a Psychic Parrot) have been entertaining at Corporate events around the country. With Dana as the comedian, and Luigi as the straight bird, the duo never fails to fracture an audience with laughter. Dana sets out to prove his little green friend is truly clairvoyant by performing incredible magic blended with rapid-fire clean comedy and audience participation. Laughter is one of the highest motivating forces. Let Dana jumpstart the day and turn one of your break out sessions into a crack-up session. Your attendees will feel rejuvenated and refocused for the remaining presentations. Having a professional entertainer like Dana Daniels host your Breakout Sessions, Award Shows and Event Meetings makes a tremendous difference! 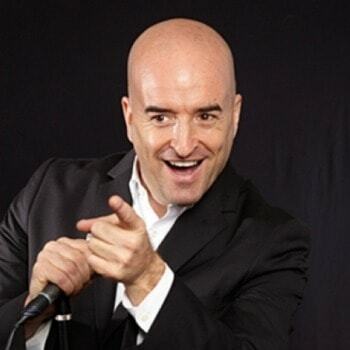 Dana will keep your attendees highly engaged with his quick wit, adlibs and hilarious magic mixed with flawless improvisation skills in unexpected situations. "Dana made this one of the best events we ever had." Want to bring Dana to your event?